You can imagine what a laborious process, especially when feeding her family and friends, but I guess she really only had to do it once a year! 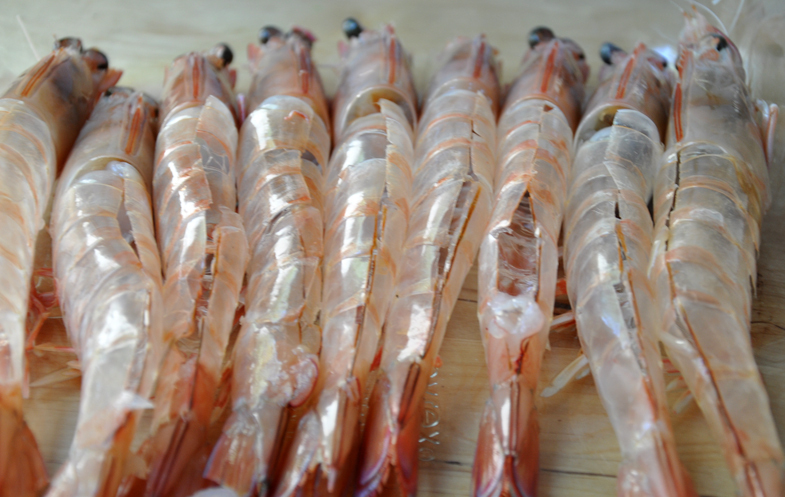 Remove the prawn meat from the prawns by placing the prawn on a chopping board (eyes facing upwards), cutting the prawns in the middle with knife, or use scissors. Carefully remove the prawn meat, keeping the shells intact. Once the meat is removed, cut into bite sized pieces. Heat the olive oil and saute the onion until translucent. Add the carrot and celery stalk and cook until soft, around 5 minutes. 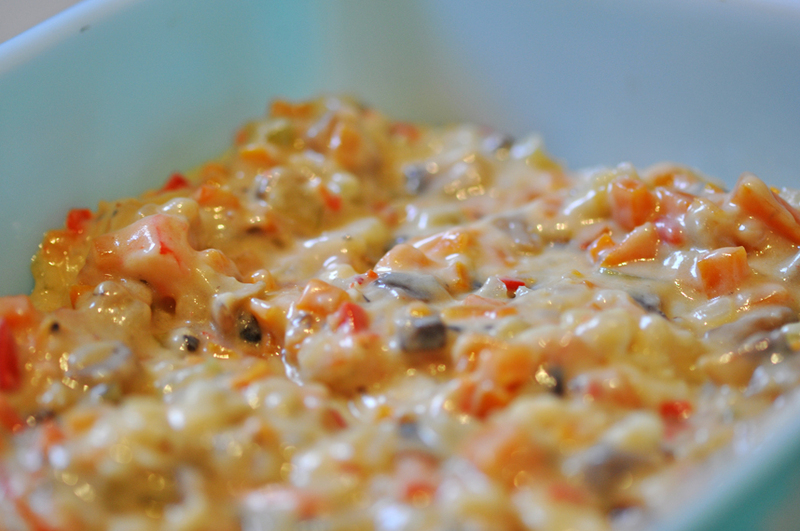 Next, add the red pepper and saute until soft, around 10 minutes. Add the mushrooms and cook for around 5 minutes. Deglaze the pan with the while wine and let cook until most of the liquid has evaporated. Add in the flour and cook out for 3 to 5 minutes. Slowly add in the milk until the mixture thickens. Lastly, add the prawn meat and heat until just cooked. Top with cheese and bake in a preheated oven at 180c (fan forced for 15 minutes). This looks so good! I never knew what was in shrimp thermidor, but now I think I would definitely like it! 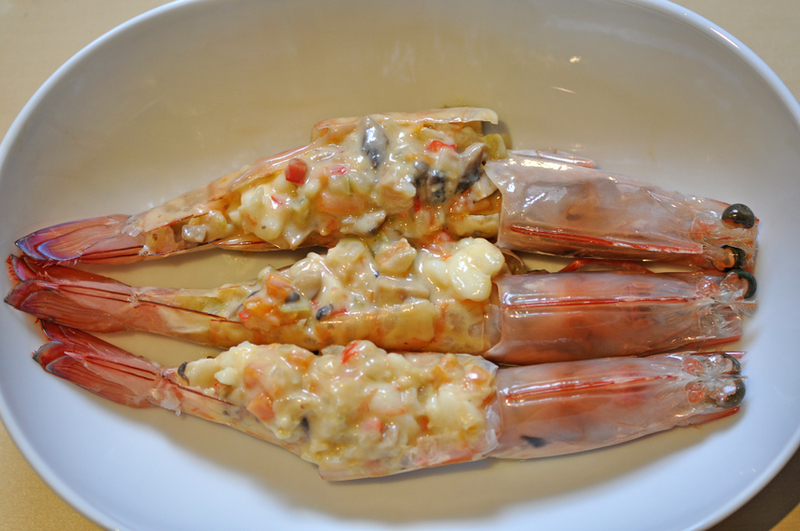 this looks so delicious, I was telling my husband about this prawns…will try to cook this soon. Love the way you took out the meat and stuffing it back…btw, I have email you about joining the club…love to join! That looks great. I’ll make the next time I work with prawns. Can I still join? 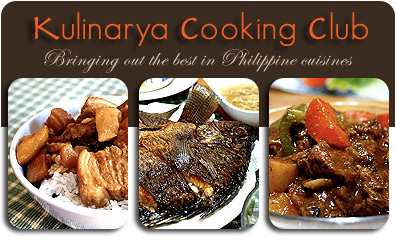 I don’t know much of Filipino food. I only eat them but don’t make them. My dad’s family recipes are actually Chinese food. hmm..
My eyes just brighten up at any prawn dish. These look absolutely gorgeous. My goodness, how did you remove the meat from the shells so perfectly. That’s truly laborious. I wonder whether there’s a short cut or a special kitchen gadget to do that. If not, I better run to you. Trissa, I’m sure you will cook for me, right? I would love a big plate. 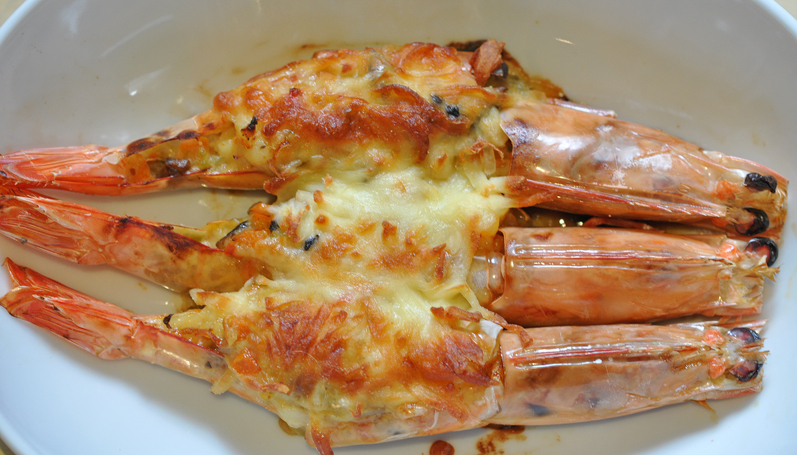 I love lobster thermdore but never thought of doing the prawn version. Your pictures made me drool!! Wishing you a happy holiday with your family and love ones! Maligayang Pasko at Manigong Bagong Taon to you too!! Saving this recipe for sure, it looks incredible and I’m sure worth the annoyance of the process. 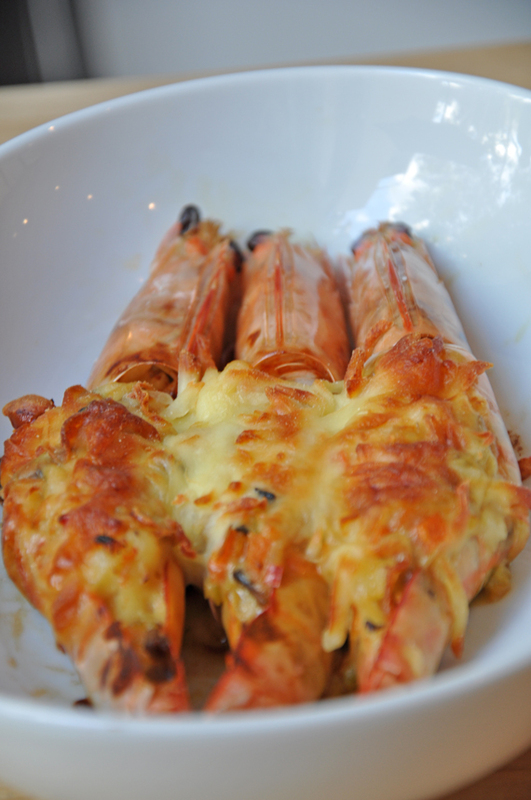 Looks fiddly but also looks like it would reap sweeter and more tender results than the usual lobster Thermidor – yum! Ooh what a great tradition! I love the sound of a big family meal, and this looks like it would be a great treat at the table. I’m drooling a little at the sight of that golden melty, cheese! These look very decadent! They would make a great dinner party inclusion any time of the year. All the best for Xmas and 2010. I love the name “good night” – it looks fantastic my dear =D. What a unique and delicious sounding dish, Trissa! I really enjoy (although I feel kinda mean that I do) the photo with the raw prawns. The sheen of their shells is perfect. Happy holidays! Gorgeous little dish Trissa! It does sound like a lot of work, but the endresult looks like it is worth the trouble! Nice… very nice!!! This does look like such a tedious dish to make but I suppose you’re right: you only get to do this once a year so might as well go all out! I love the colours as well.. it’s so Christmas-y! Oh yum. I can almost taste how rich it is! This dish is very festive and elegant! My hubby loves shrimp, I should try making this sometime..
i ate so much of this yesterday, i could hardly move… it was 100% trissalicious! thanks again Tris! Oh my! This is so cool. I would have never thought with a PRAWN to remove the meat, create a filling and then stuff. Those flavours sound divine. I totally agree this is a crowd pleaser.